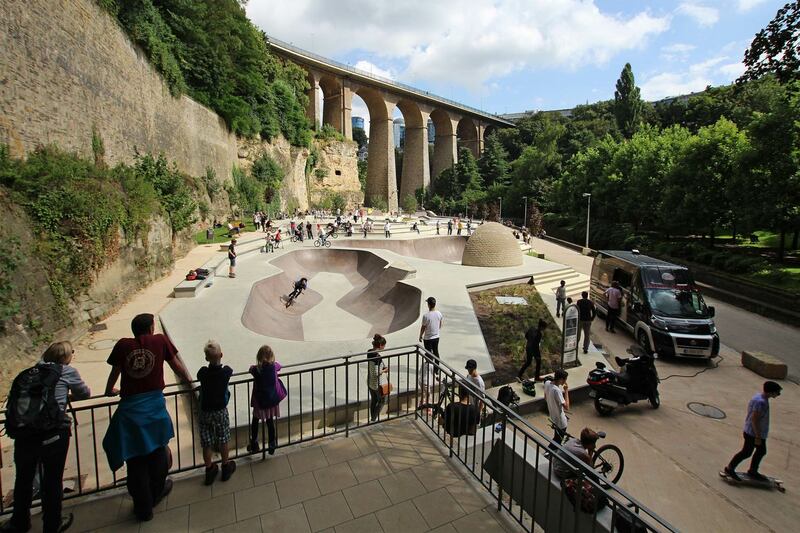 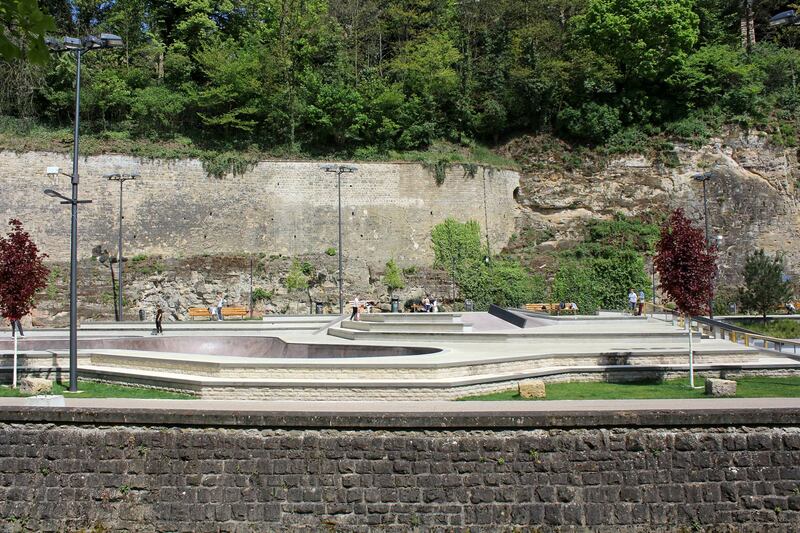 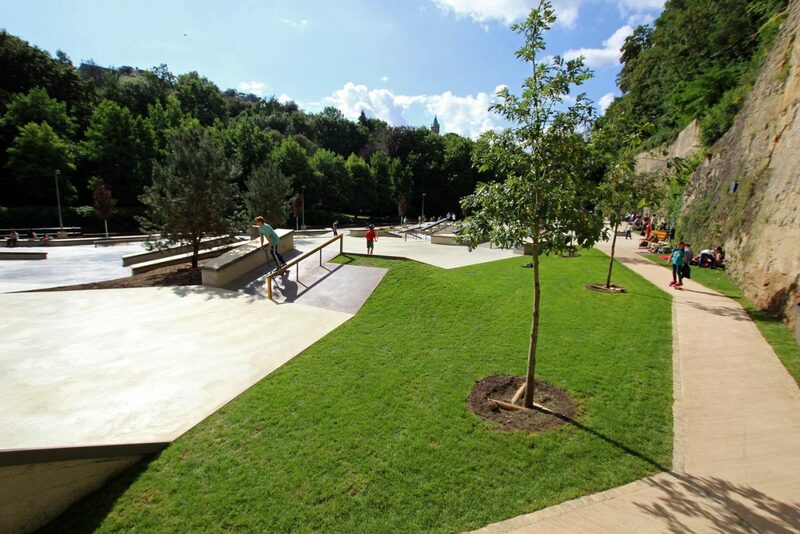 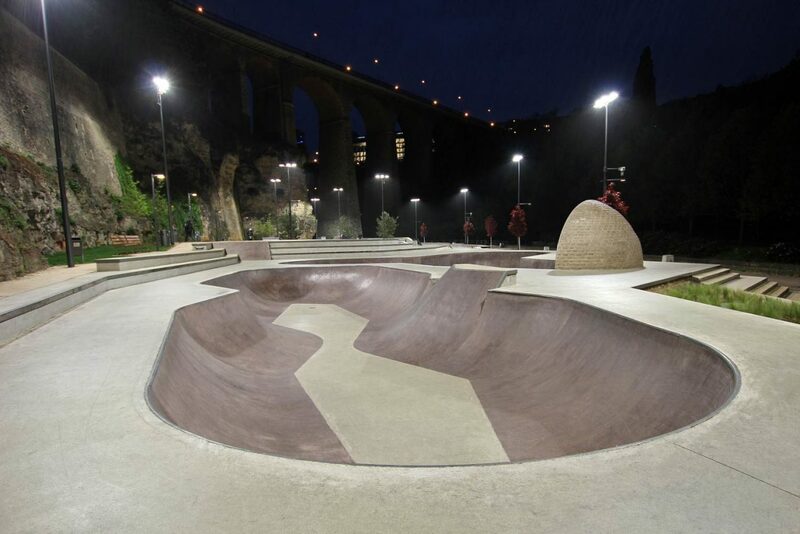 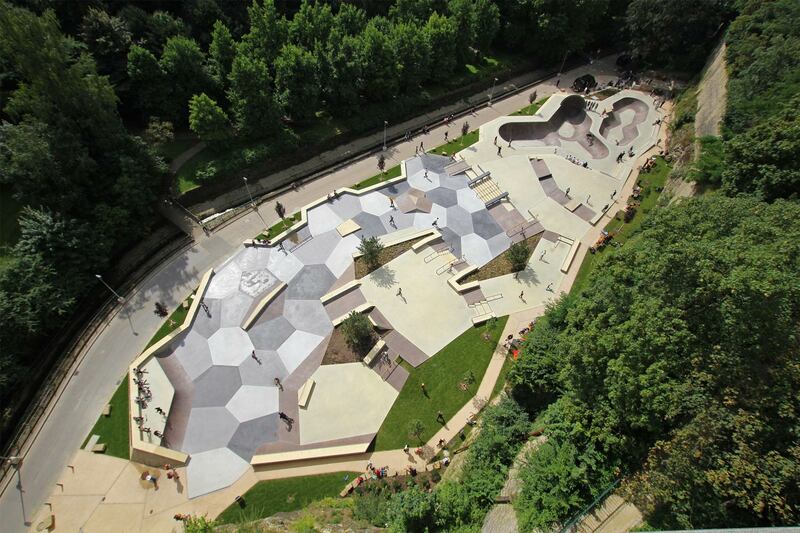 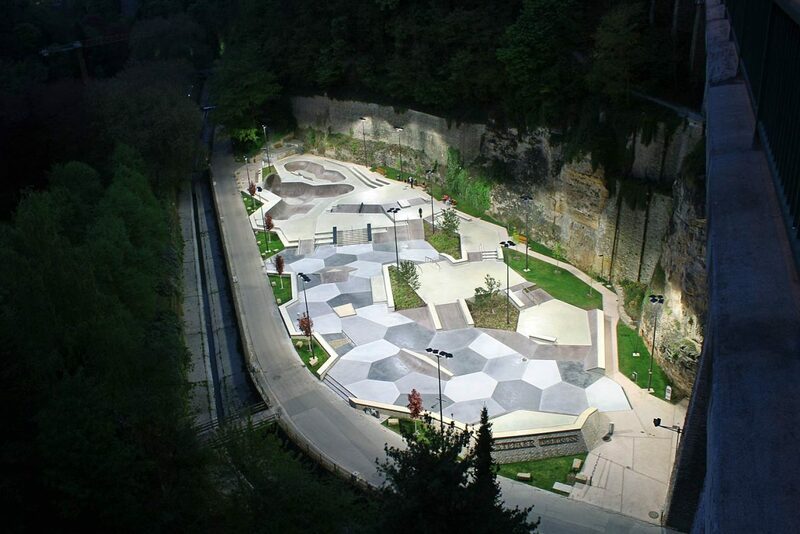 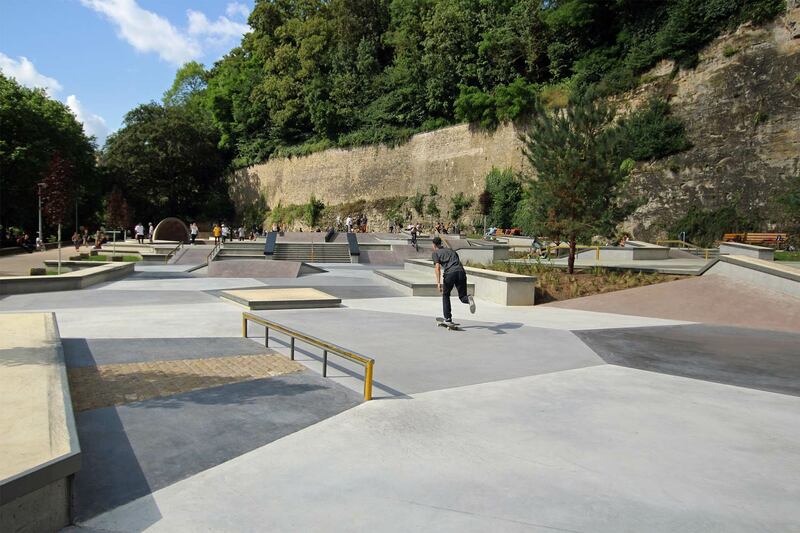 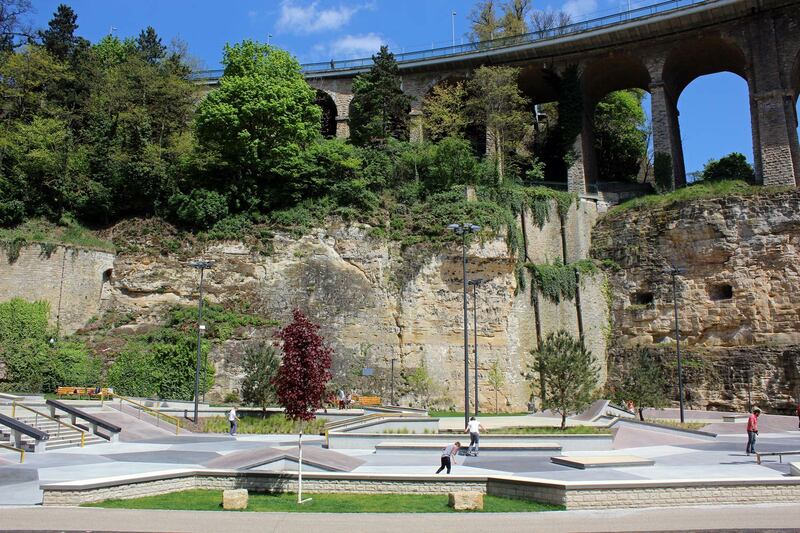 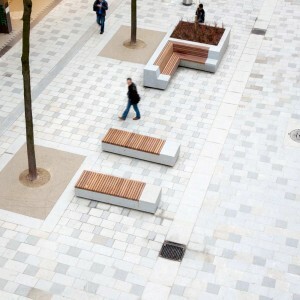 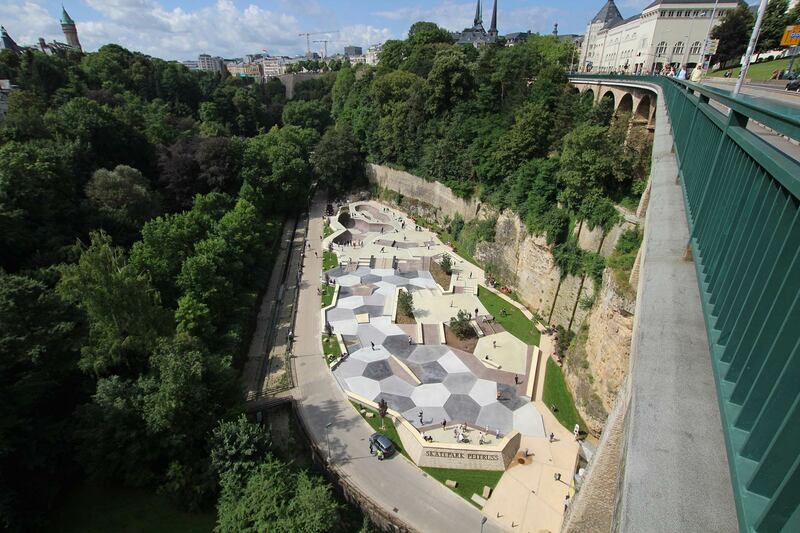 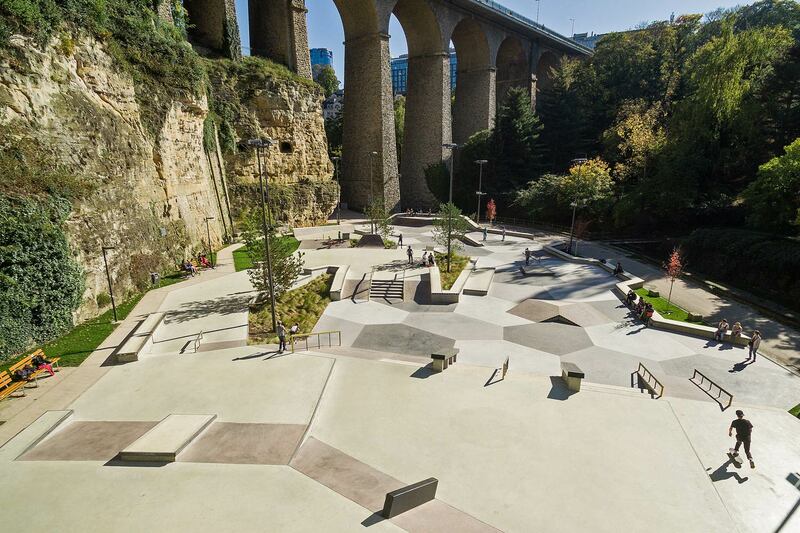 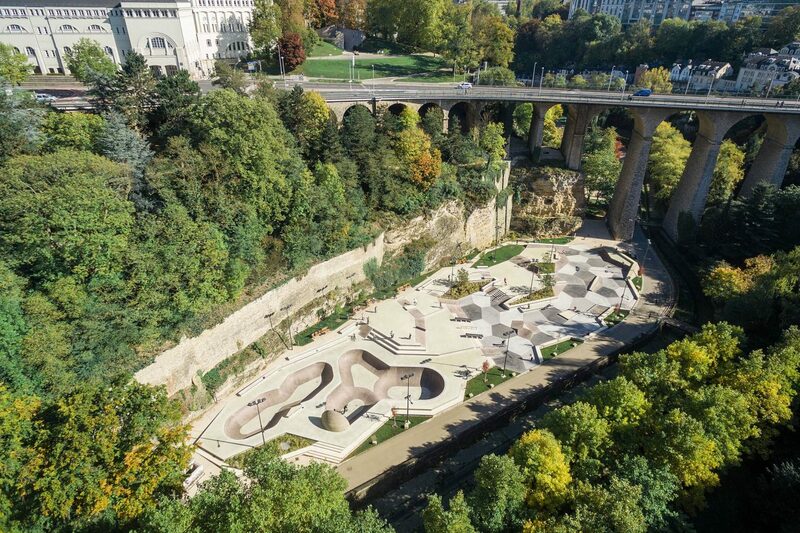 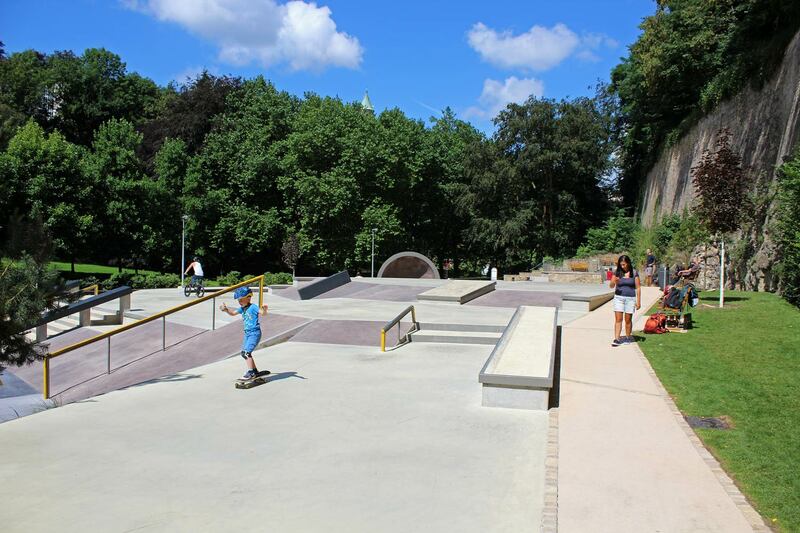 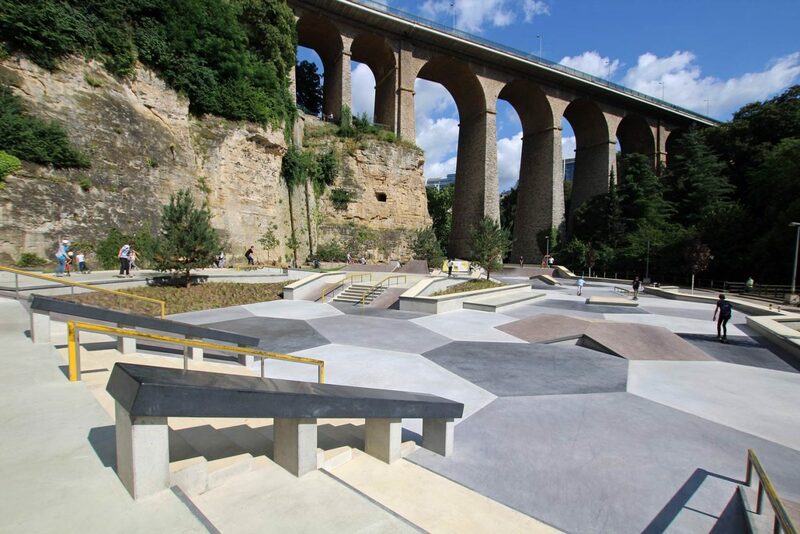 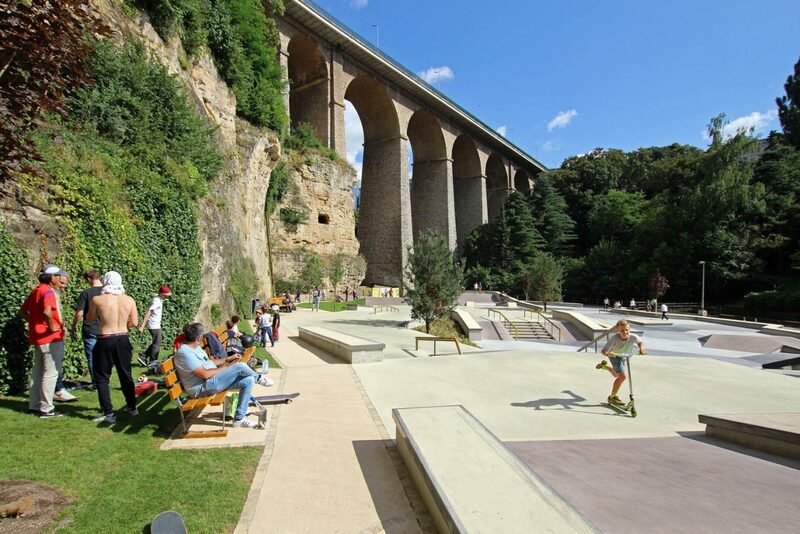 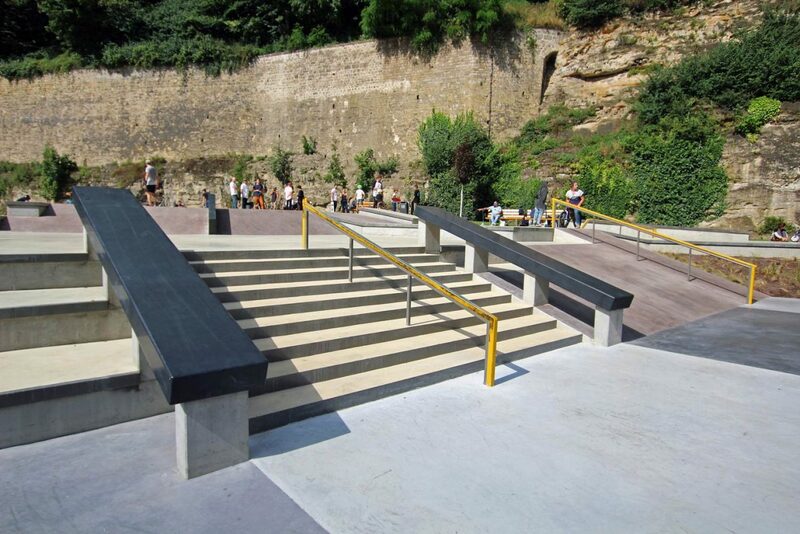 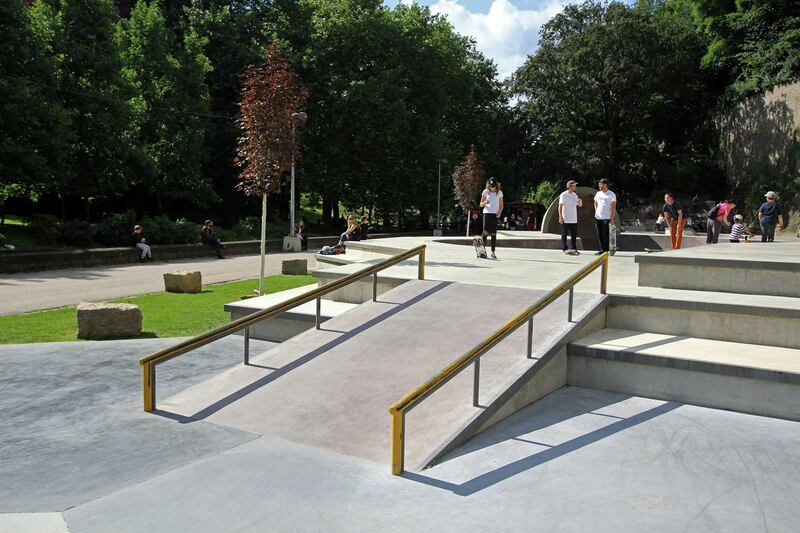 Luxembourg City had to ensure its position of European megalopolis by edifying a European-sized skatepark. 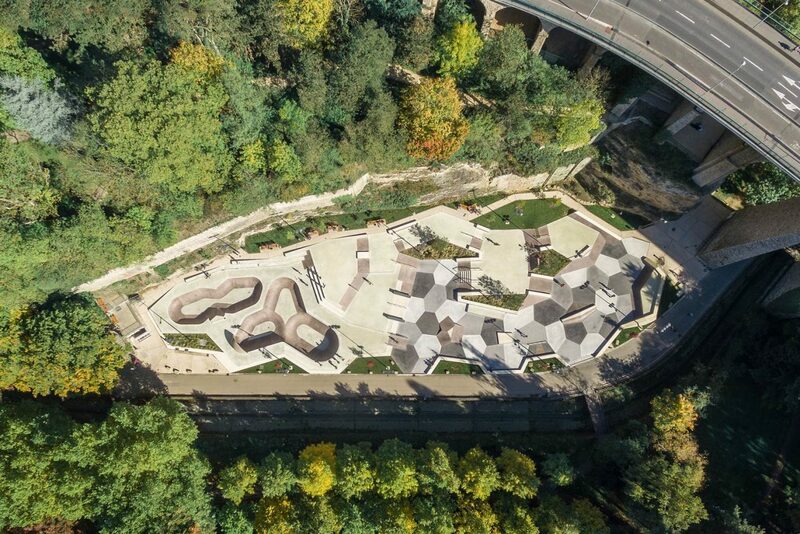 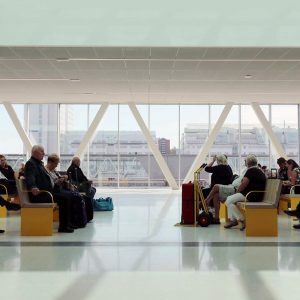 With a total surface of 2750 m², including a small bowl, one big bowl with a cradle and a deep-end of 3m20 high with pool coping, a street dome and a street plaza, Peitruss Skatepark becomes one of the biggest and one of the most attractive in Europe. 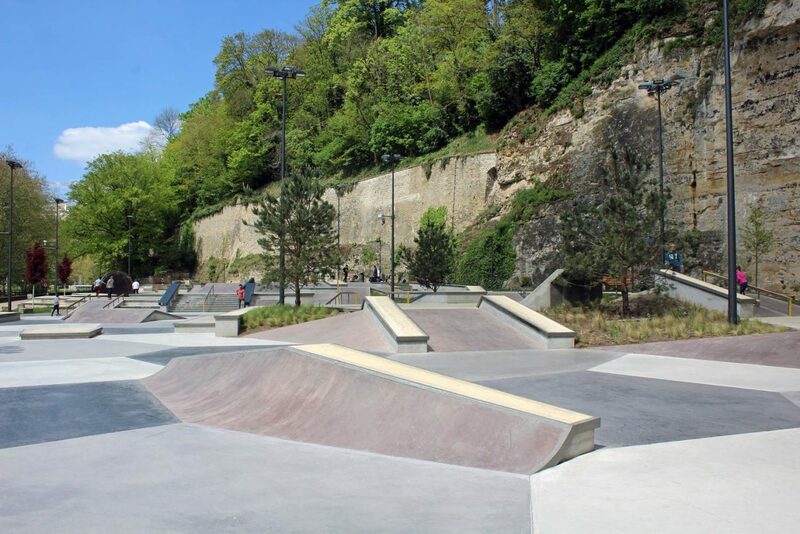 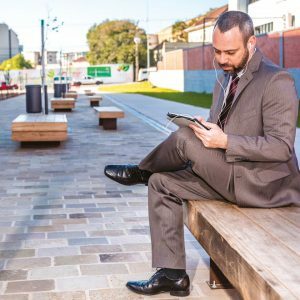 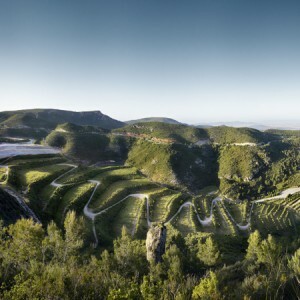 The skatepark is fully polyvalent, adapted for the practice of all urban sports such as skateboarding, rollerblading and BMX, but also adapted to all levels of practice, from the beginner to the professional. 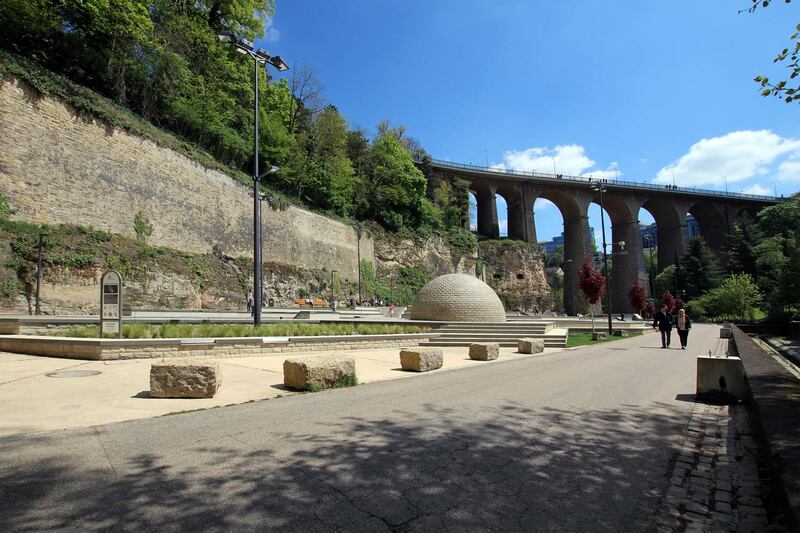 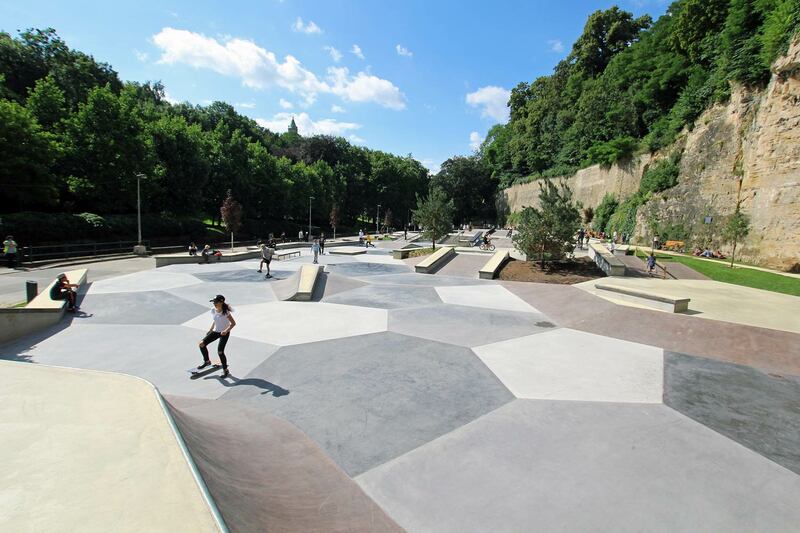 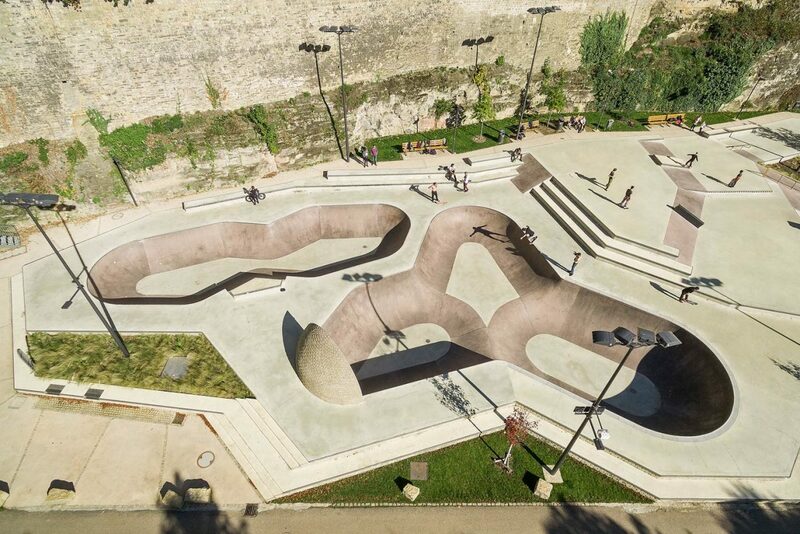 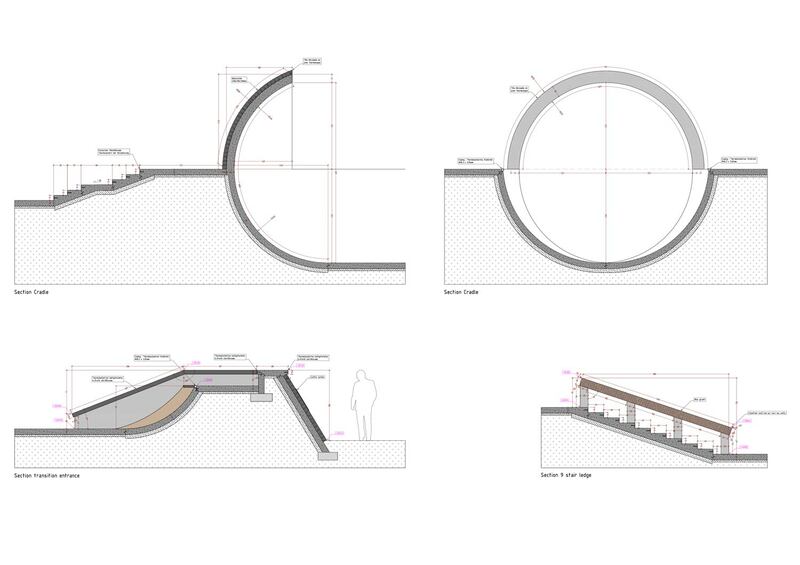 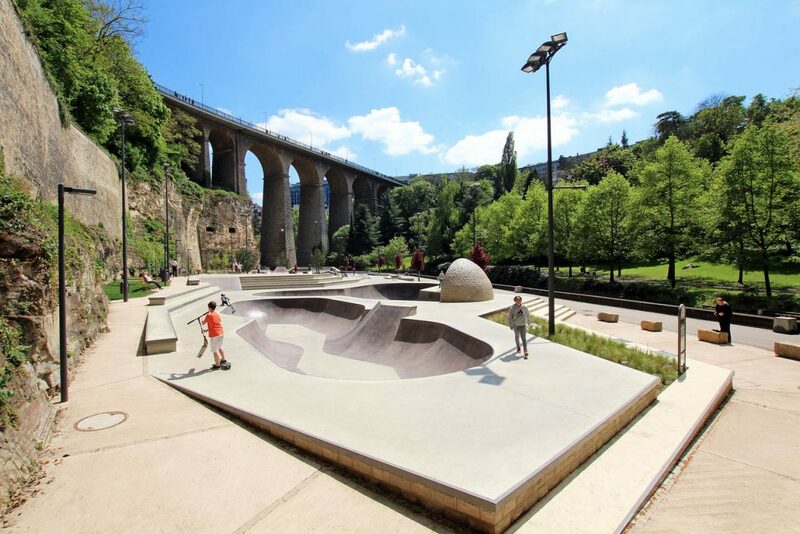 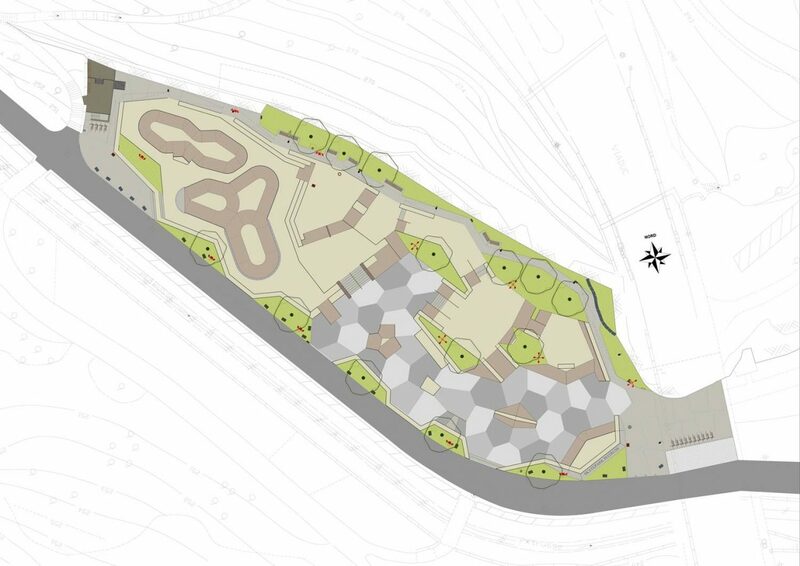 To be smoothly integrated into the patrimonial context, the design of the skatepark reinterprets the geometrical design of the Vauban fortress, which is seen in the peripheral benches and curbs. 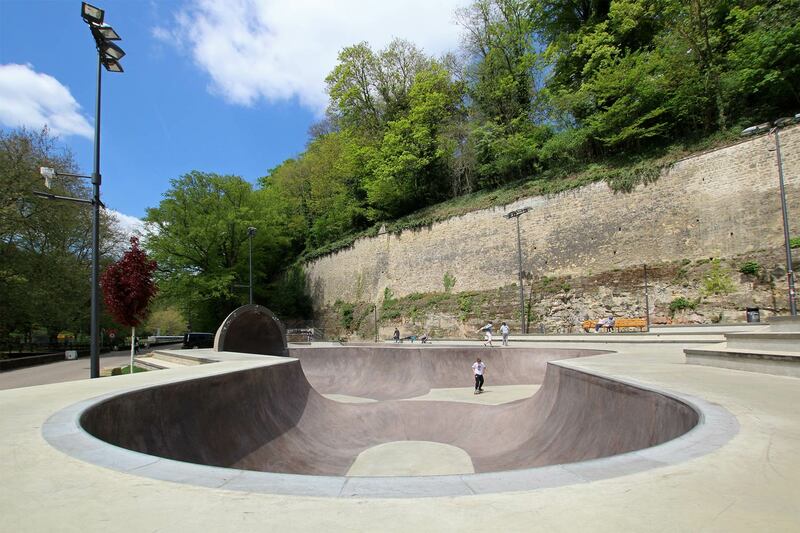 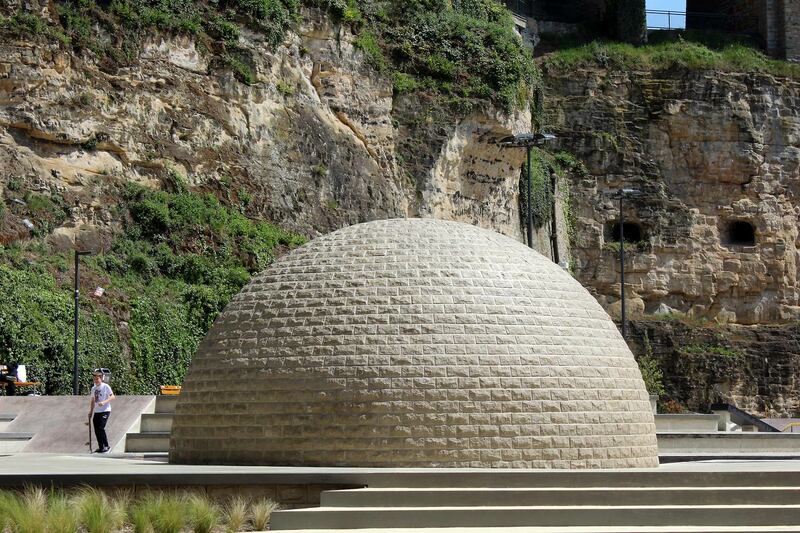 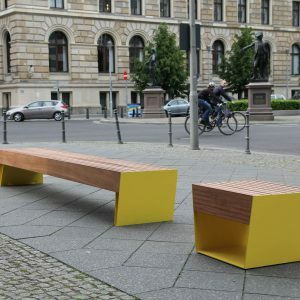 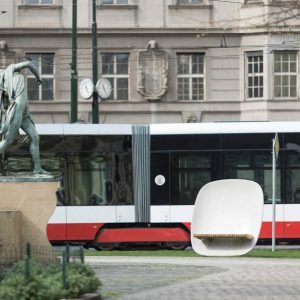 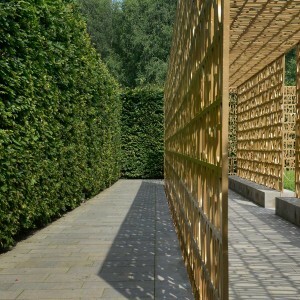 To reinforce the patrimonial aspect, the design integrates stone walls and stone cladding on the benches that makes the skatepark disappearing into the Vauban’s Wall.